An expert’s advice on how to survive anything, anywhere. Len McDougall is a full-time outdoor writer, professional photographer, and illustrator with more than thirty years’ experience in the North Woods. 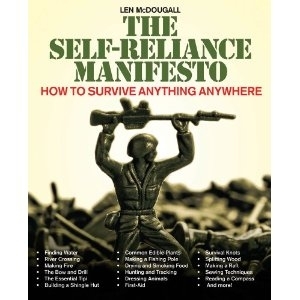 His books include Tracking and Reading Sign, The Complete Tracker, Practical Outdoor Survival and The Self-Reliance Manifesto. He lives in Paradise, Michigan.